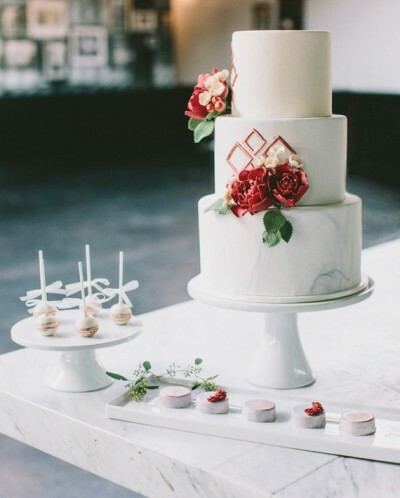 Wedding reception trends come and go, and it’s exactly the same for wedding cakes. 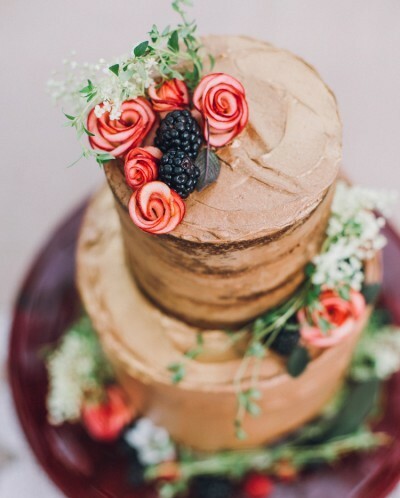 In recent years couples have adored the naked wedding cake – which has always been a wonderful choice for rustic or country barn weddings. However, it seems that 2017 will be embracing bright and bold icing, with metallic details. Stylish, glamorous and oh-so-gorgeous! 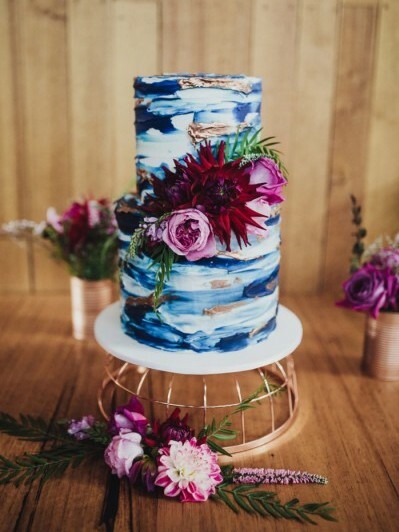 Whether you opt for a striking one-tier show-stopper or a 5-tier masterpiece, there are so many wonderful ways to decorate your wedding cake. 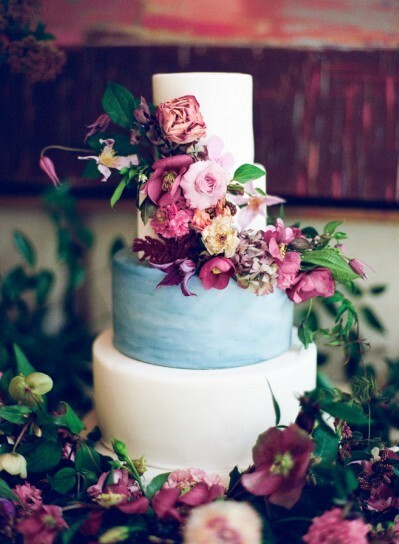 Your cake is the perfect way to reflect your wedding theme, as well as your style and personality as a couple. 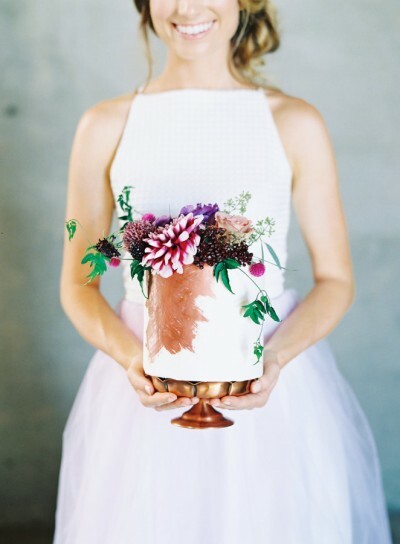 Perhaps you love the thought of adorning the tiers with pillow-soft blooms or a simple sprig of greenery. 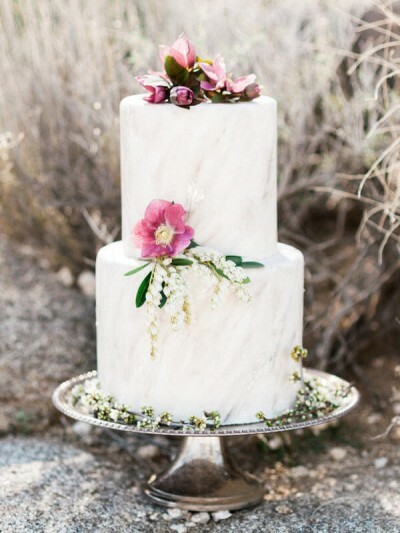 Maybe marble icing is more your thing – and so on-trend too! 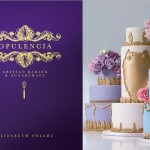 The most fabulous thing about wedding cakes is the fact that there are absolutely no rules. You could create a scrumptious dessert table with a variety of different cakes, cupcakes and yummy treats. Your guests will adore helping themselves to the delicious delights and they can always double up as wedding favours. 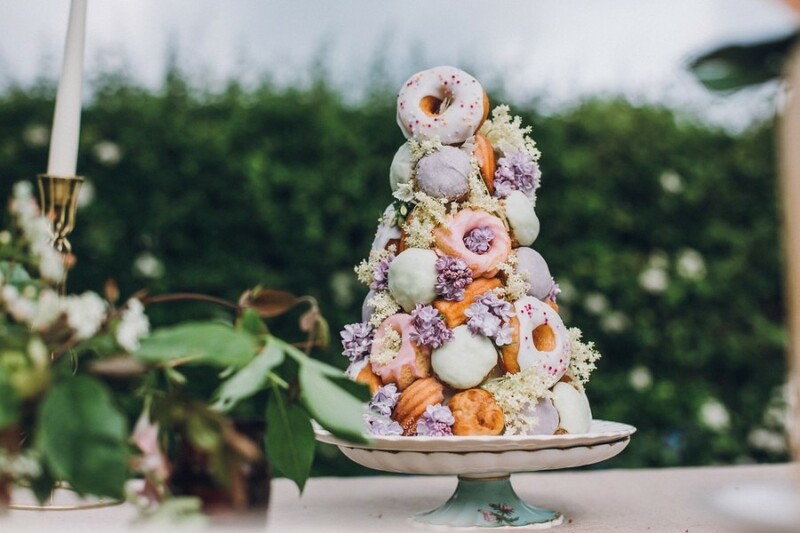 Doughnut towers, cakes made out of cheese and even pies can be used as alternative wedding cakes – the choice is yours! 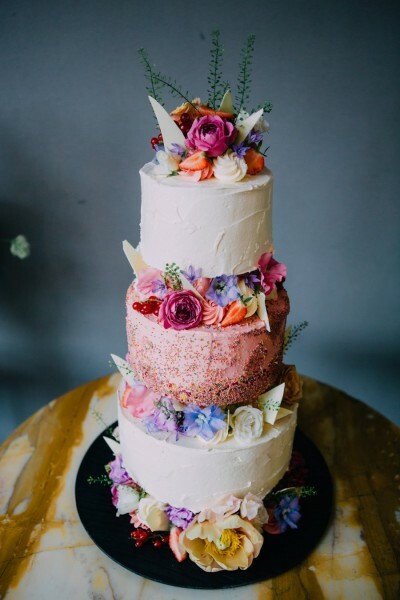 Think about how you’re going to display your wedding cake – take into account your wedding venue, theme and colour scheme. If you’re planning an Art Deco celebration with a touch of Gatsby glamour, a metallic cake stand would look stunning stood on a gold sequin table runner. 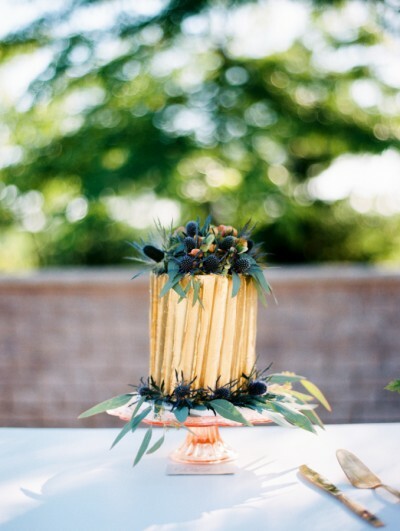 If you’re dreaming of a rustic affair, we suggest a wooden tree slice teamed with a hessian or burlap table cloth. 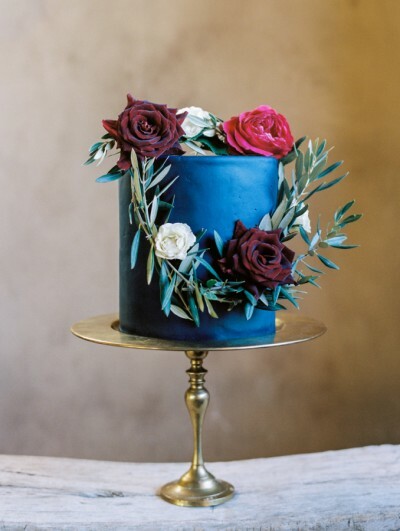 It’s important not to overlook the finishing touches to your wedding cake. 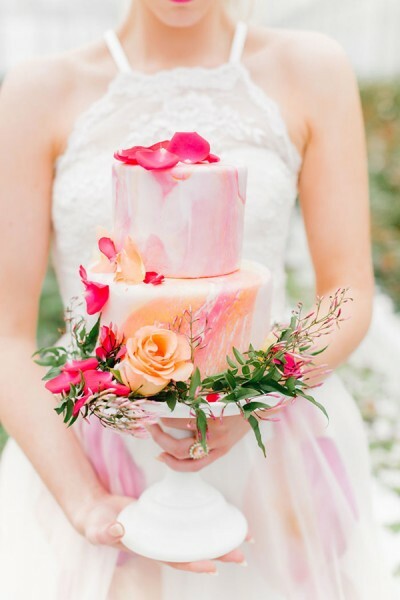 From watercolour icing to beautiful blooms – we’re seriously swooning over these gorgeous wedding cakes. What do you think? Missed anything from last week…?